The Rev It Madison 2 RF Ladies Dark Grey Used Motorcycle Jeans are part of the latest REV'IT! collection. The Rev It Madison 2 RF Ladies Dark Grey Used Motorcycle Jeans are the evolution of the Madison Ladies, with an improved fit and REV'IT! 's in-house developed SEESMART protectors standard equipped at the knees. 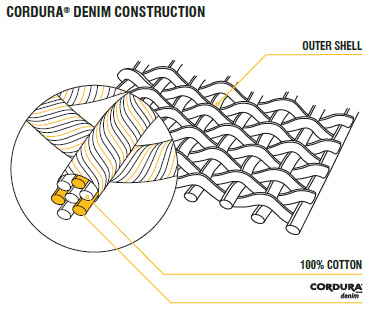 These Cordura denim jeans surpass the strength of the regular denim/aramid construction that has become standard with many other brands while offering single-layer comfort. The material's mechanical stretch and the incorporated comfort seat offer the comfort needed for longer rides, warding off any uncomfortable effects of extended periods of time in the saddle. View all Rev It Ladies Motorcycle Jeans. View all Ladies Motorcycle Jeans.